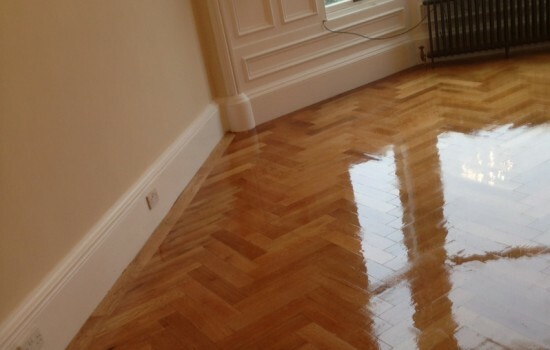 Floor sanding is not as easy as it seems and can easily go wrong which is why using Edinburgh Past & Present to revive tired looking boards or restore parquet flooring to it’s former glory could save you time and money. Although we use a range of equipment and methods to keep the floor sanding as dust free as possible, our workmen always use dust sheets for extra protection to surrounding areas, will clear away all waste and leave your floor and surrounding area free from dust so you can enjoy your revived floor without the stress or fuss of having to tackle the job yourself..
Repair and replacing damaged boards is best placed in the hands of the professionals at Edinburgh Flooring. 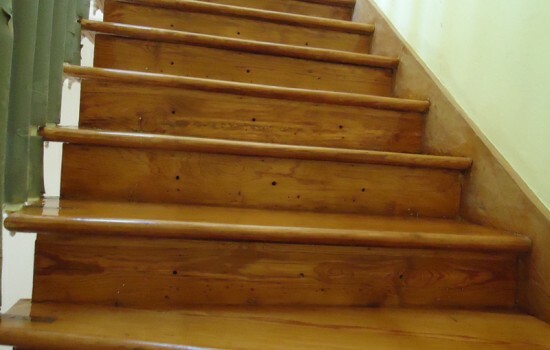 We have many years experience dealing with many different reasons for damaged boards and pride ourselves in seamless replacement of boards which are damaged beyond repair. 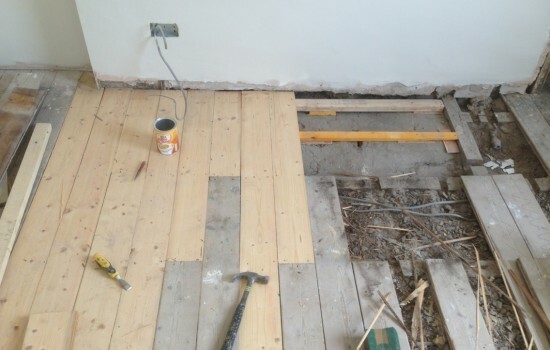 From replacing wood block, gap filling, sanding, staining and overall finish we at Edinburgh Flooring can save you time and money.Edinburgh Flooring are experts in all types of floor repair, hardwood, softwood, laminate, natural or engineered. In commercial premises or in your home. 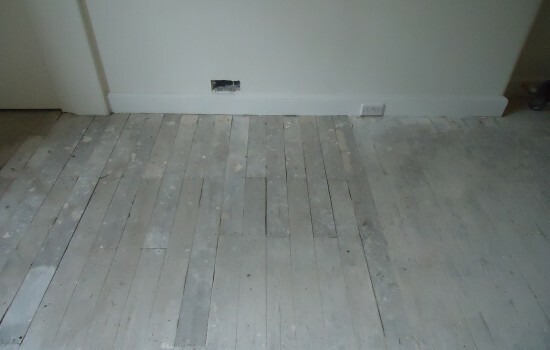 Reclaimed floor boards have an ever increasing appeal to those who want an eco friendly home. Edinburgh Flooring highly recommends you use a qualified floor fitter especially to achieve the look and finish you require. 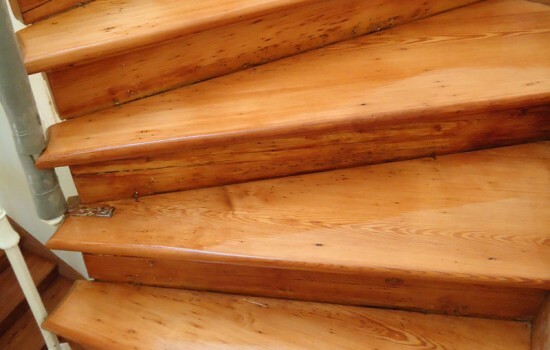 Most reclaimed floor boards will need a degree of cleaning and treatment before and after they have been layed. 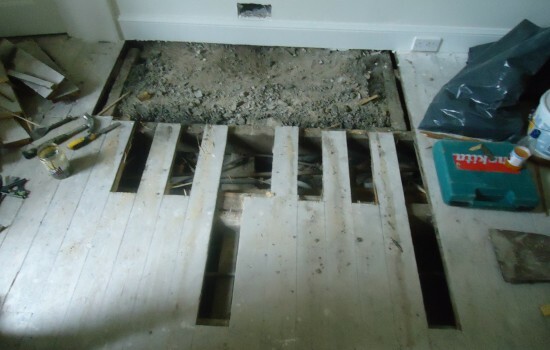 The type and depth of treatment we give to the boards will depend on what is within your salvaged material requirements as we guarantee the reclaimed boards will be free from all pest attack or damage. Edinburgh Flooring can finish with an Oil, Laquer or Polish each having it’s own merits and each giving a different look to your floor. Our flooring experts will help you decide which finish is best for you. To keep your new wooden flooring looking as good as new will mean from time to time maintenance and repairs need to be done. 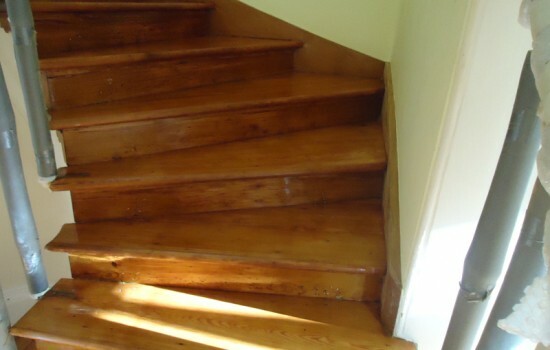 At Past & Present we understand the importance of good maintenance to prolong the life of a wooden floor. 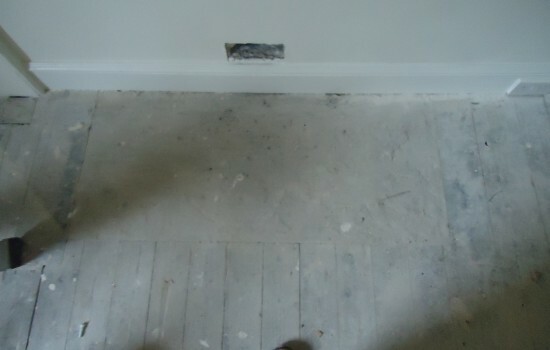 Having gaps filled can lend a uniform finish to a floor and also help exclude drafts. Where possible our craftsmen will match the filler to the flooring colour. 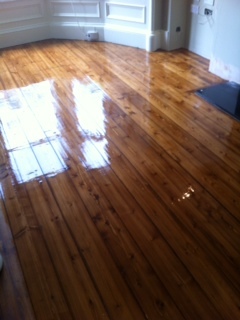 As with any work being undertaken on a wooden floor preparation is the key to getting a superb finish. 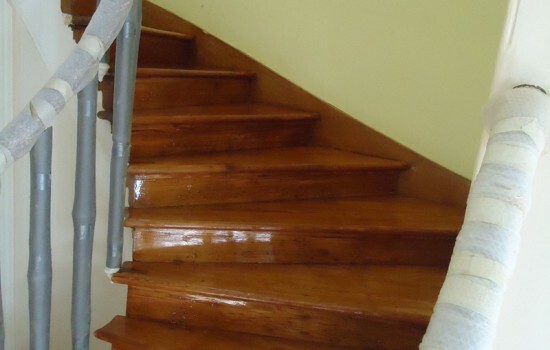 Our workmen are qualified to help you chose the best way to proceed using either a Resin based filler which is a cheaper method of filling gaps but does have it’s drawbacks, or Flexifill which is less prone to cracking but more expensive and Solid Pine Strips while the most expensive of the filler options does give the best finish by far. Which ever of the above gap filling options is best for your floor and your pocket we are Edinburgh Flooring will work to our highest standards at all times to ensure you end up with a floor you can be proud to show off. 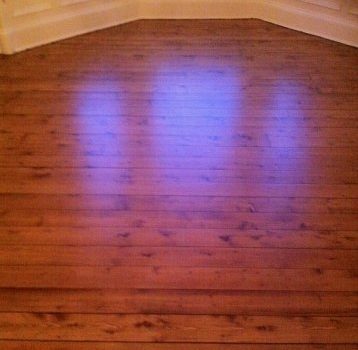 Past & Present Floor Sanding Edinburgh has a wide range of Laminate Flooring to choose from and is a good choice for commercial or busy areas in a house. Easy to clean and quick to install without the use of nails or glue. 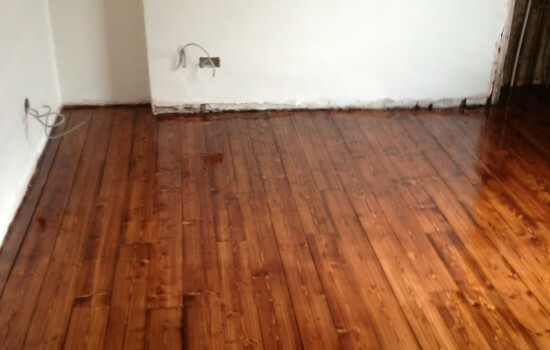 Using Past & Present Floor Sanding Edinburgh experienced fitters will ensure your Laminate floor gets fitted quickly and with minimum fuss and disruption to other areas. 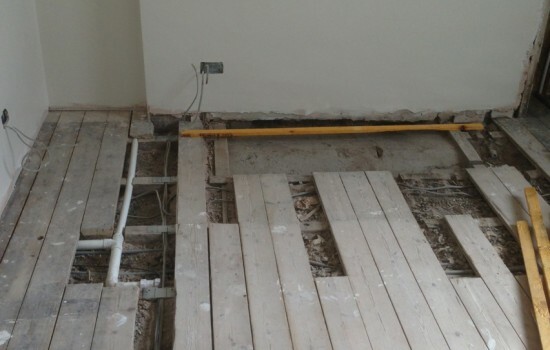 As with any other floor subfloor conditions, skirting boards and doors etc have to be taken into account when laying the floor. Your Edinburgh Flooring specialist will come prepared for all these things which will give you a professional finish to your Laminate floor. We will work with you to ensure you get the edgings, trimmings you want and match with your premises requirements. 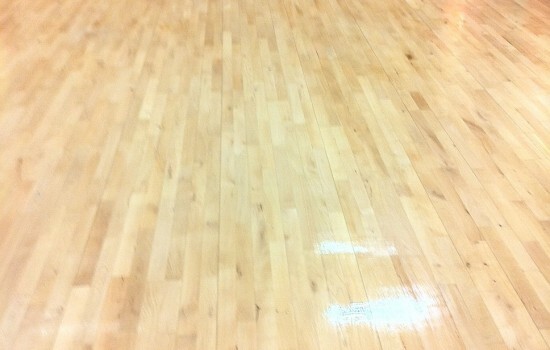 We will also make sure all waste is removed, and the floors are left clean and ready for you to use immediately. The ageless beauty of parquet flooring will bring to life any area of your home and we at Edinburgh Flooring fit Parquet Flooring using traditional flooring techniques. The planning for Parquet Flooring is very important and we will work closely with you to ensure you get the pattern that bests suits your personality, using the best paying method to ensure a long lasting hard wearing floor. 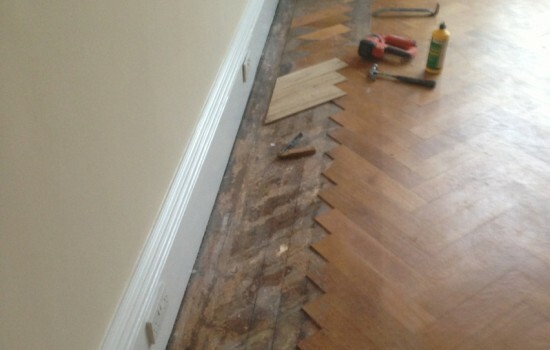 Laying Parquet flooring is a time consuming and highly specialised job that is best done using a professional floor fitter. At Edinburgh Flooring our workmen come prepared to ensure the finished Parquet flooring is of a high standard and will last. As with other wooden floors there are different methods of laying Parquet Flooring depending on the circumstances, subfloor, use of room etc. At Edinburgh Flooring we know what to do and how to do it. 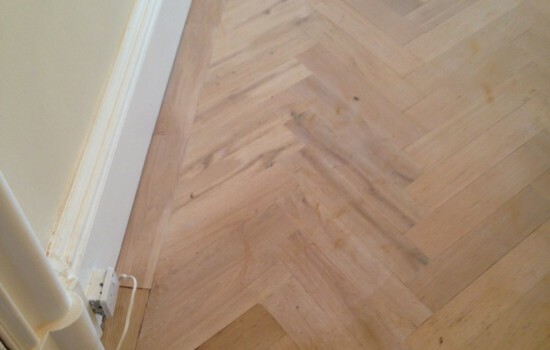 To get the Parquet Flooring you deserve contact Edinburgh Flooring to discuss your options. If you are a Building Contractor or have a Commercial job then Past & Present Edinburgh Flooring can help you with discounts on Large orders. 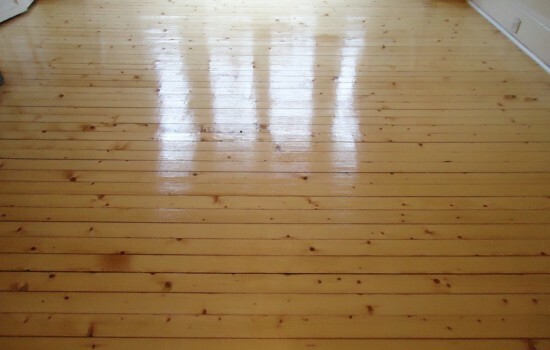 Floor sanding is not as easy as it seems and can easily go wrong which is why using Edinburgh wood to revive tired looking boards or restoreparquet flooring to it’s former glory could save you time and money. 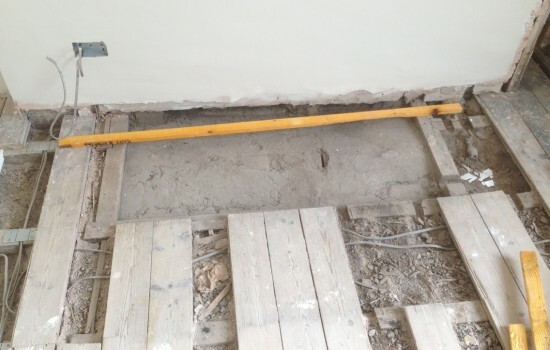 Although Edinburgh Flooring uses a range of equipment and methods to keep the floor sanding as dust free as possible, our workmen always use dust sheets for extra protection to surrounding areas. Past & Present care about the environment and use low environmental impact products throughout the restoration process. Our workmen will clear away all waste and leave your floor and surrounding area free from dust so you can enjoy your revived floor without the stress or fuss of having to tackle the job yourself. Welcome to Edinburgh Hardwood Flooring by Past & Present we offer high standards, name brand wood floors and installation at low prices. 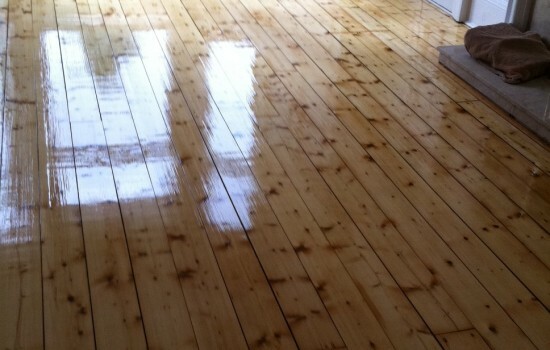 Edinburgh Hardwood Flooring are an Edinburgh based hardwood flooring business. 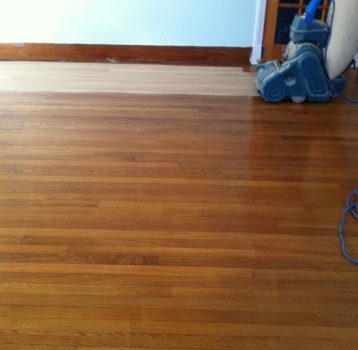 We are able to combine experience with quality, hardwood floor refinishing and repairing contracts in a reasonable time frame and competitive price. 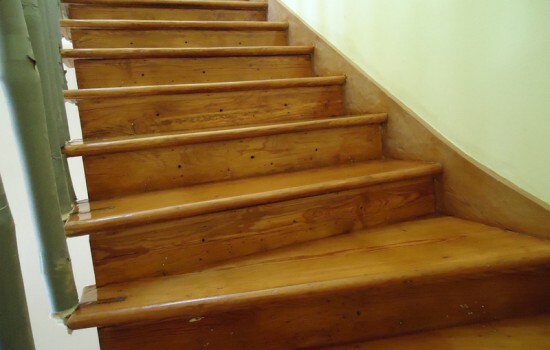 We provide homeowners, builders, designers and architects with the highest standard of wood floor installation and hardwood floor sanding, refinishing and repairing in Edinburgh , Wide selection solid , wider plank wood flooring, beveled edges or regular edge, hand scraped floors, engineered wood floor, for nail down, glue down and floating installation methods. 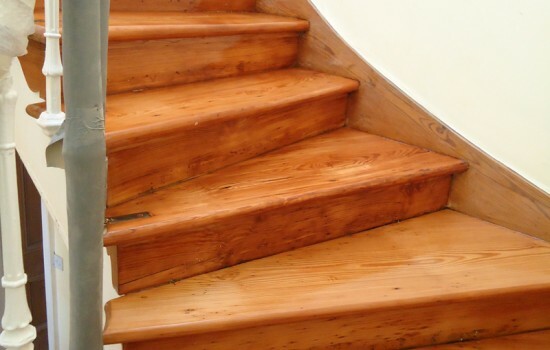 Solid wood floors come unfinished or prefinished and in almost any wood species you can imagine. Being a natural product solid wood is susceptible to expansion and contraction due to changes in temperature and humidity. Before installation it is essential to acclimatise the floor within the environment it will be installed in accordance with the manufacturers guidelines. This is generally no less than 5 days. 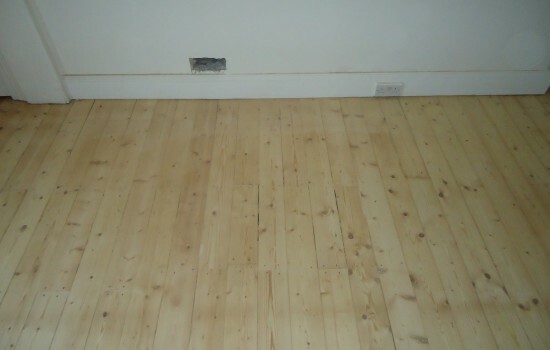 Solid wood floors are not suitable to be installed over underfloor heating systems. Parquet blocks or battens can range from around 6mm – 20mm. parquet between 6mm & 15mm tend to be manufactured with square edges, whereas blocks at the thicker end of the scale usually have tongue and groove’s.